Since my first Android device, I was always heavily customizing my current ROM. For years, I was stuck with using different root tools available but I was ever satisfied. In spring 2017, I finally took the step to developing my own set of root tools "Root ToolCase". Many root apps out there just focus on features and completely forget about user interface. 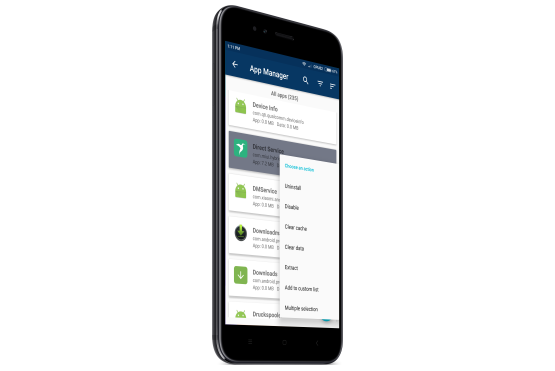 Root ToolCase also focuses on features, of course, but they are organized in a simple, intuitive user interface. And best of all, it's completely free! 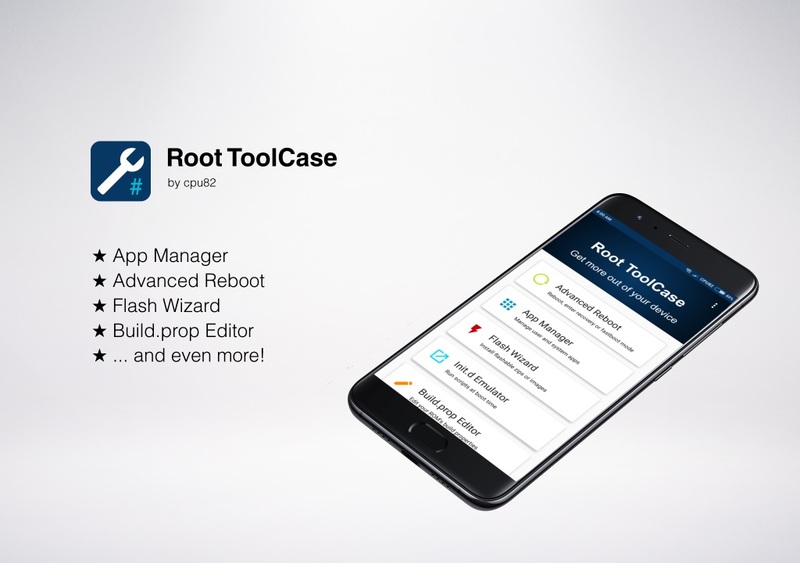 Since its start in May 2017, Root ToolCase has quickly gained popularity amongst root apps. 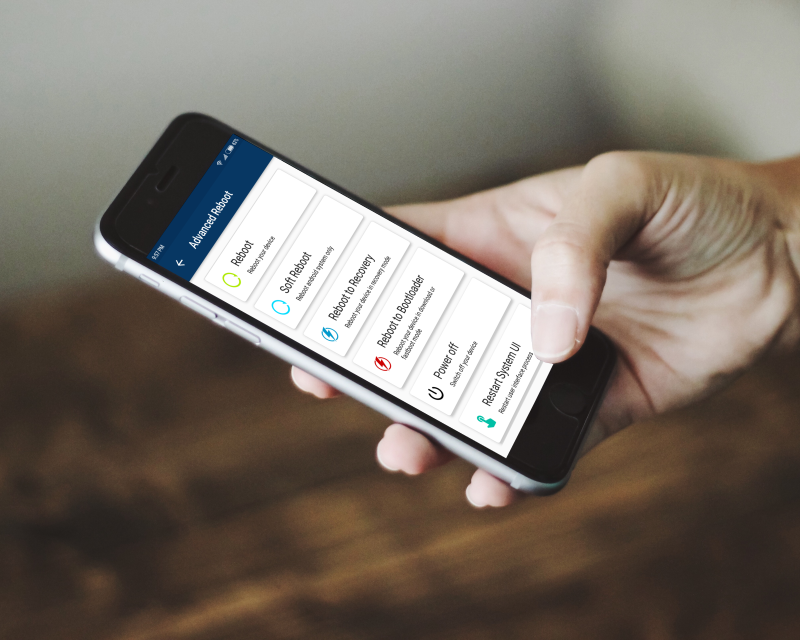 Already more than 100,000 users have downloaded the app on Google Play and more than 200,000 across all app stores. Root ToolCase is also one of the best rated root apps, with a rating of 4.8 on XDA Labs and 4.45 on Google Play. With the app manager you can remove bloatware, enable/disable (freeze) apps and clear data or cache of any application. 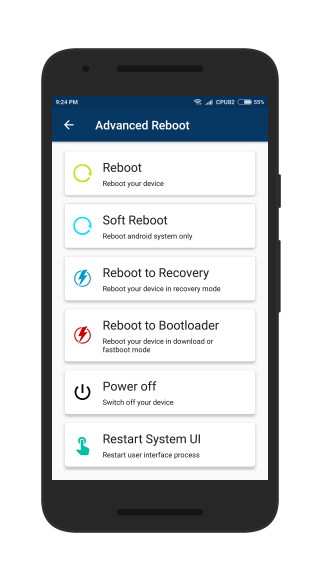 Besides standard or quick reboot, you can also boot into recovery, fastboot (bootloader) or safe mode or just restart the system UI. 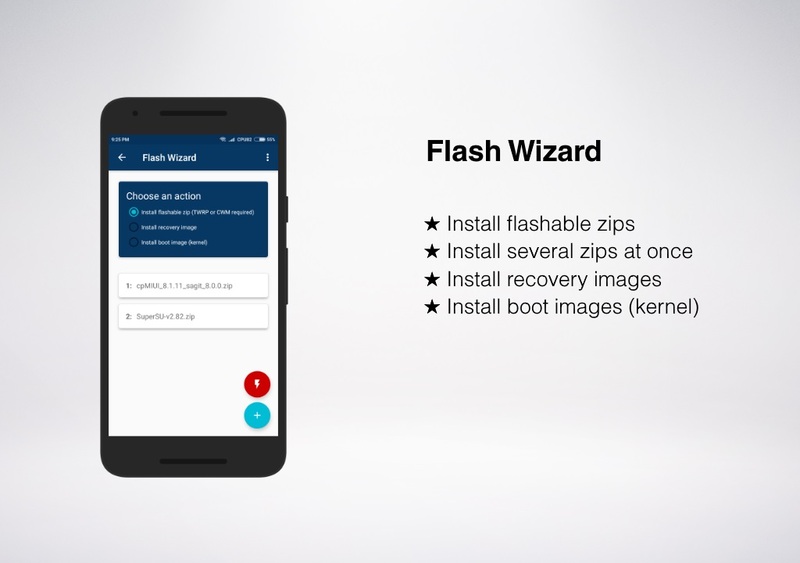 With the Flash Wizard, you can install several flashable zip files at once. You can also flash recovery or boot (kernel) images. This feature requires TWRP or CWM recovery. Edit your ROM's build properties for customization and for performance tweaks. 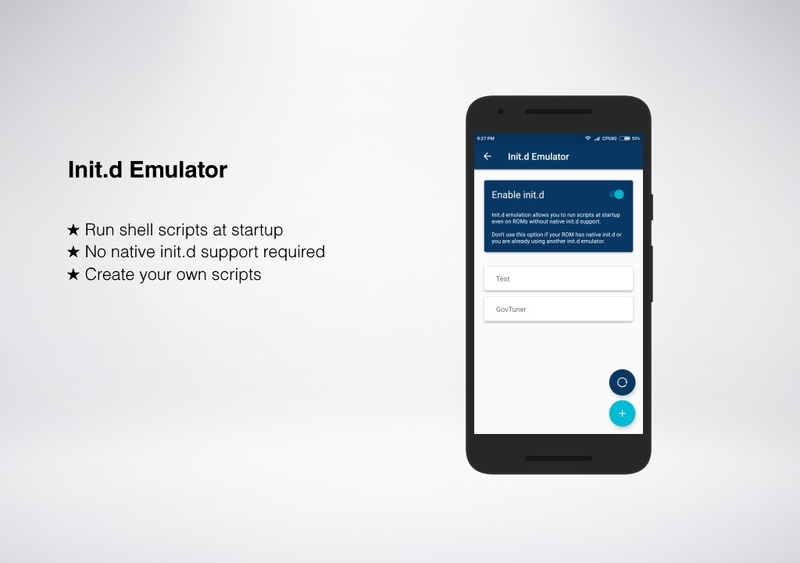 Allows you to run shell scripts at startup, even if your ROM has no native Init.d support. 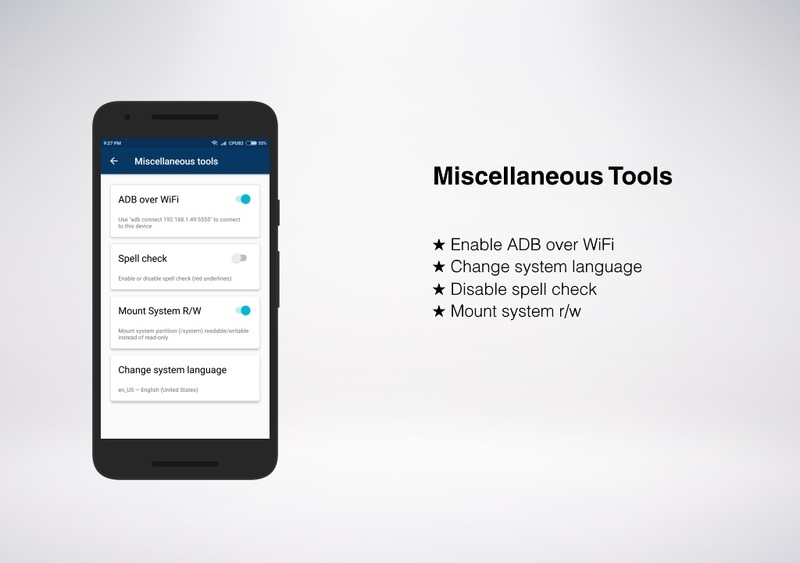 There's also a miscellaneous tools section where you can change the system language or enable ADB over WiFi. 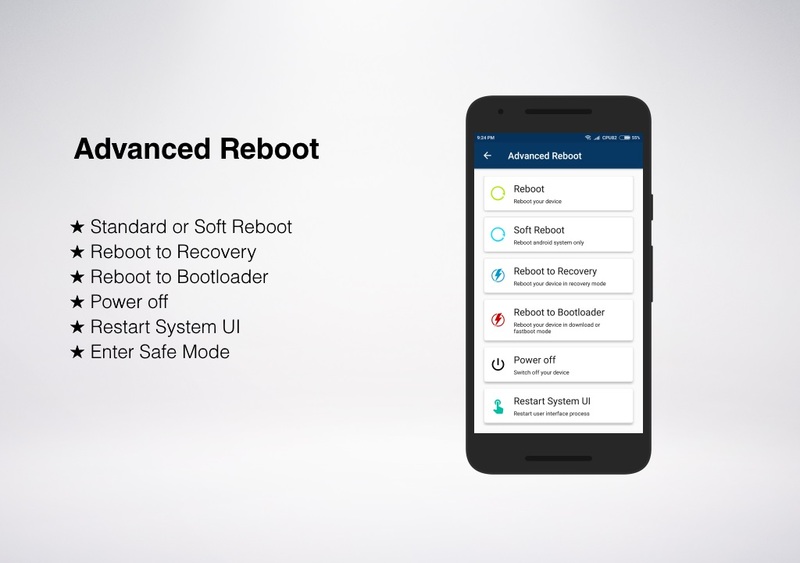 Android has many different means of rebooting a device, but most of them are very well hidden. 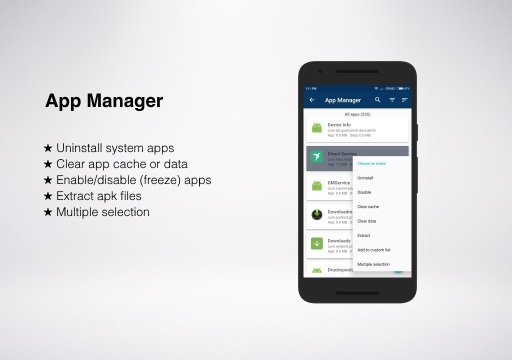 The app manager is definitely the most powerful tool of Root ToolCase. 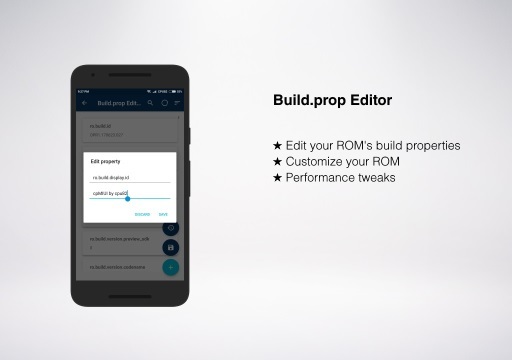 Great little tool set for rooted users! Executes batch uninstalls flawlessly which is why I installed it, but it has a bunch of additional features that allowed me to eliminate several additional apps from my phone! Thank you dev, keep up the great work! Works good for me thus far. It does what I need it to and is user friendly. Very useful tool for root users. Loved it. 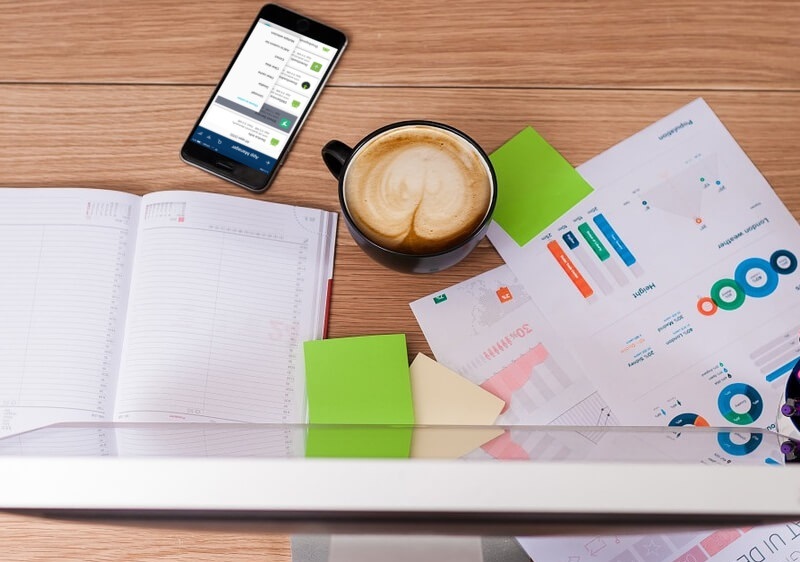 According to the definition by lininfo.org, root is the user name or account that by default has access to all commands and files on a Linux or other Unix-like operating system and therefore, also on Android. Rooting your device allows you to access and modify all system files. After rooting, you really own your device and you are free to heavily customize your ROM. 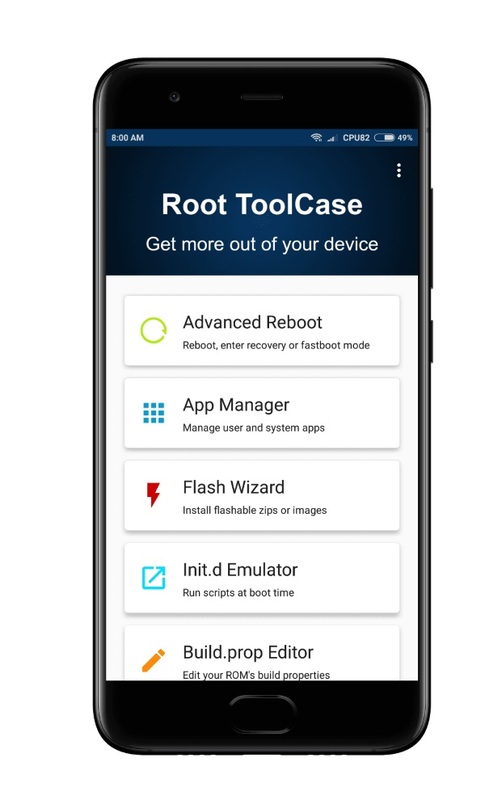 Does Root ToolCase root my device? No. 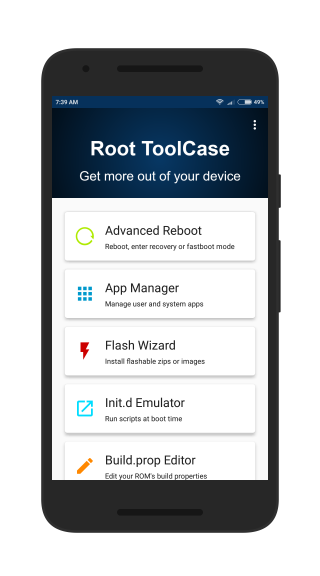 A rooted device is a prerequisite for Root ToolCase to work properly. 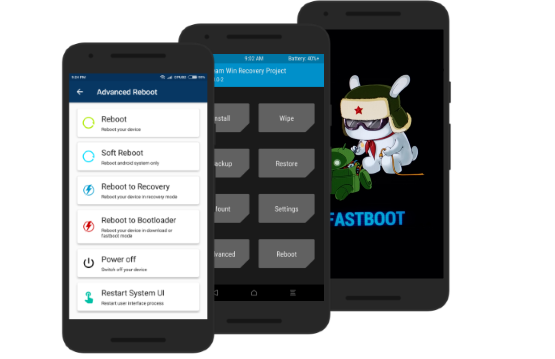 Rooting methods are highly depending on the actual devices and used Android versions, so I can't provide you with a guide to root your device. Luckily, there's a great community out there and there's probably someone who already rooted your specific device and described how it's done. We are happy to hear from you, so let's stay in touch!.